Vin de France now accounts for 15% of still French wine exports by volume. The amount of Vin de France exported in bottle with a mention of grape variety on the label is now the equivalent of 76 million 75cl bottles, worth €135m. All markets are doing well, particularly the US and Canada. So this year ANIVIN de FRANCE has been busy both countries promoting Vin de France wines. Last December I reported on ANIVIN de FRANCE’s activities in the US, which have continued this year. So I thought it would be good to share some details with you about our Canadian campaign in this post. From May to June we ran a series of 30 in-store tastings across Ontario in partnership with major distributor LCBO. More than 2,000 customers tasted the wines, during the course of the campaign with a 34% conversion rate, much higher than the average 10-15% experienced on average by LCBO. 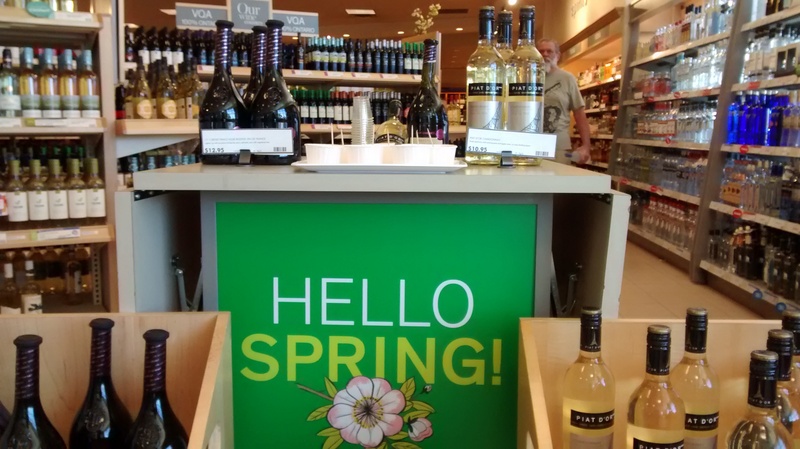 To complement our in-store campaign, in June we mounted a guerrilla promotional campaign in two major hubs – Toronto and Ottawa – targeting 23 local branches of LCBO. Our young dynamic teams of Vin de France ambassadors reached out to customers as they passed the stores, talked to them about the assets of the wines, their DNA, and gave out leaflets and free Vin de France branded wine glasses. Over the course of two days, 4,500 individual consumers were thus targeted. An astonishing 33% went on to enter the store and purchase a Vin de France wine. That’s nearly six times higher than the average guerrilla marketing activity usually achieves, which is proof positive that the messaging about grape variety and fun around our Vin de France wines works well. This Autumn we are again flying the Vin de France flag in Canada – from mid-October to early November we are running sampling promotions in 30 stores across the country with an expected uplift of 30% sales. Next we are off to Vinexpo Tokyo on 25 and 26 November. I’ll file a report from the land of the Samurai when I return.